At Arbor you can order the free catalog Arbor. Arbor do not sell directly to individuals. 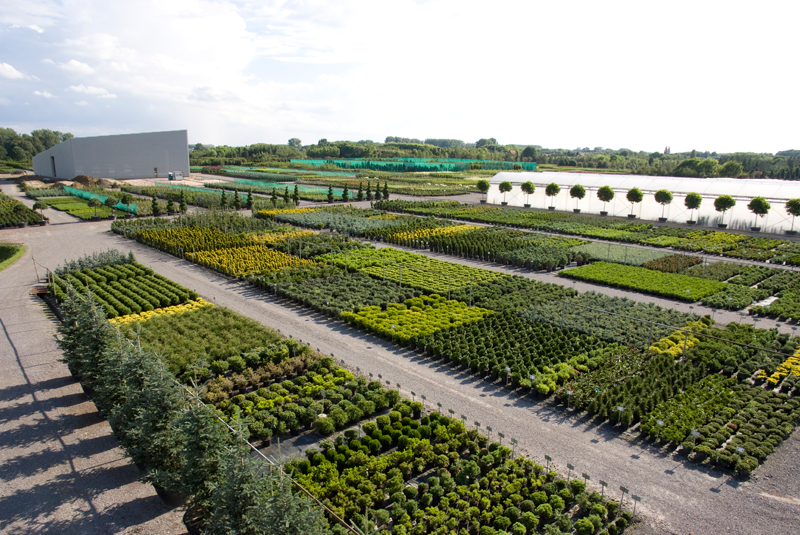 Thanks to a 35-hectare container nursery in Belgium, Arbor can supply a wide range of species and sizes. Here once again, the emphasis is on the heavier materials, such as solitary bushes, conifers and trees. Large quantities are never a problem. In recent years, Arbor has concentrated on different techniques for summer storage. Judicious preparation and care make it possible to plant trees out of season, without sacrificing quality. The 35-year old container nursery endows Arbor with the necessary knowledge and facilities. Arbor draws a distinction between two methods for out-of-season planting: wrapping in coconut fibre root balls or potting in containers. Each method has its own advantages. 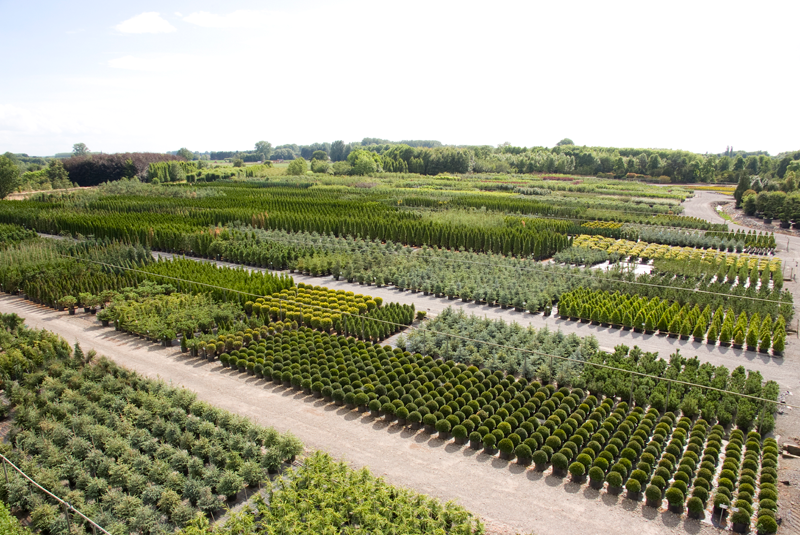 The appropriate method depends primarily on the period in which the customer wishes to plant the trees. In need of advice or more information? Arbor would be delighted to help!